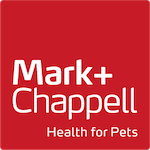 Healthy Bites cat treats, formulated to promote your cat’s wellbeing. 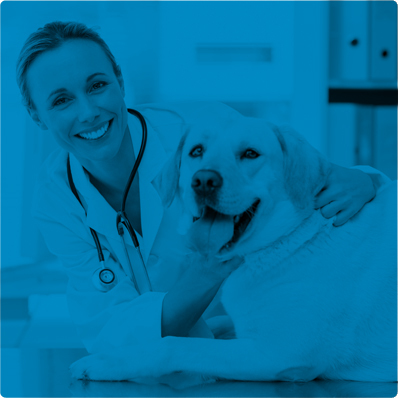 Formulated by animal nutritionists to promote your pet’s wellbeing. Combining the finest natural ingredients with the latest pet treat technology, each wheat-free bite is comprised of a delicious crispy cereal shell with a health enhancing cream-filled centre, packed with essential nutrients. 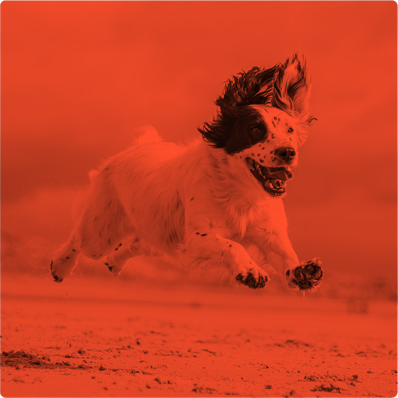 Our bites are approved by veterinarians and have no artificial colours, flavours or preservatives. Healthy Bites Nutri Booster For Kittens have been formulated by animal nutritionists providing kittens with essential amino acids, antioxidants and nutrients to keep them growing strong, healthy and vibrant. 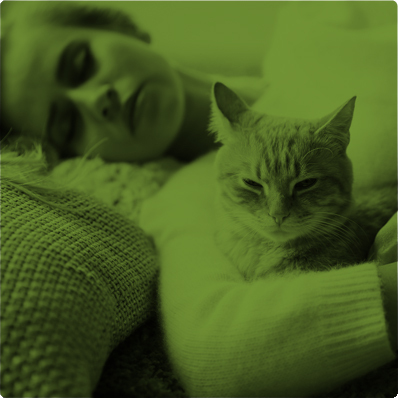 Hairballs can be prevented by frequent grooming and the routine taking of Healthy Bites Hairball Remedy as directed. 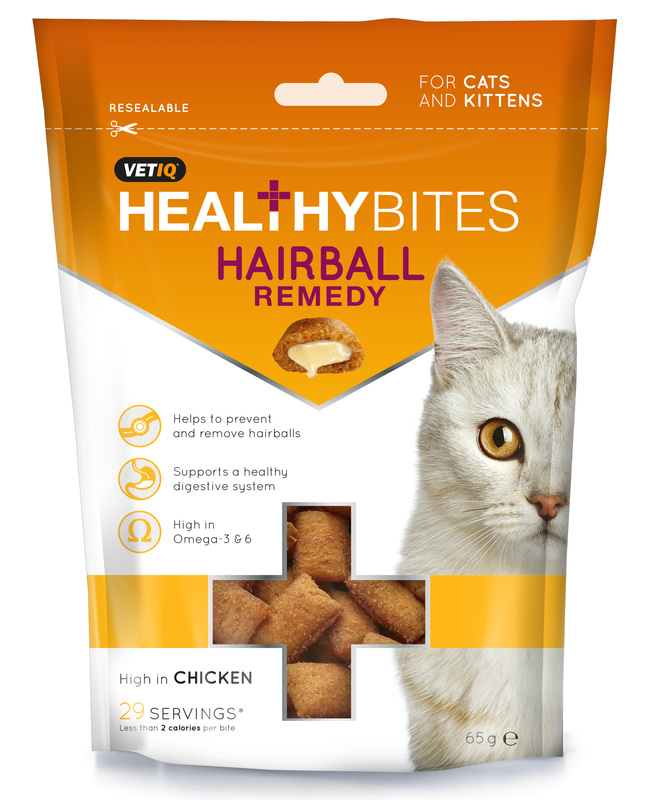 Healthy Bites Hairball Remedy helps to assist passage of swallowed fur through the gut to avoid the formation of hairballs. 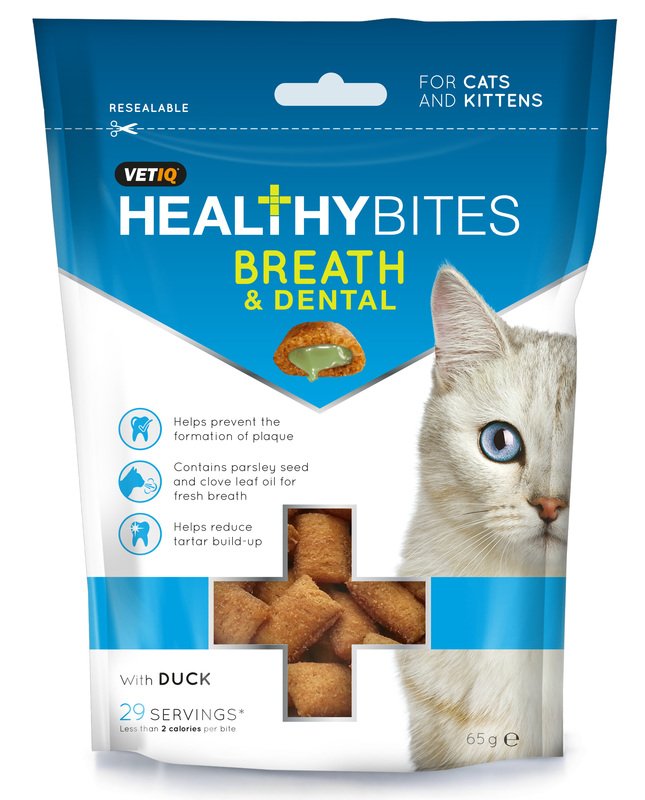 Healthy Bites Breath & Dental are delicious dual action treats formulated to comprise a dry outer shell which massages gums and scrapes the tooth surface and a health enhancing cream filled centre containing natural anti-bacterial, anti-microbial and breath freshening ingredients. 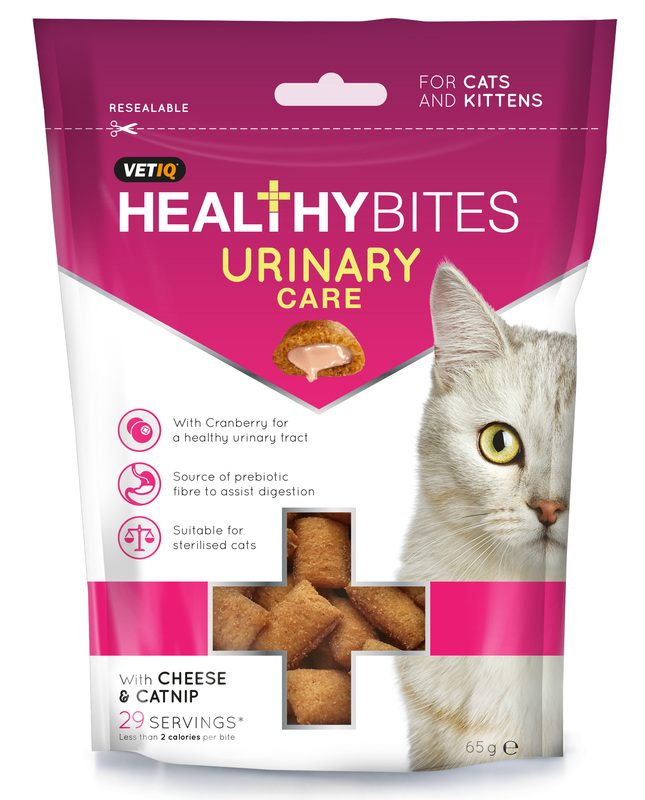 Healthy Bites Urinary Care comprise of a crispy cereal shell with a health enhancing cream filled centre packed with amino acids, vitamins, antioxidants, essential fatty acids and plant extracts to help support a healthy urinary tract and immune system. 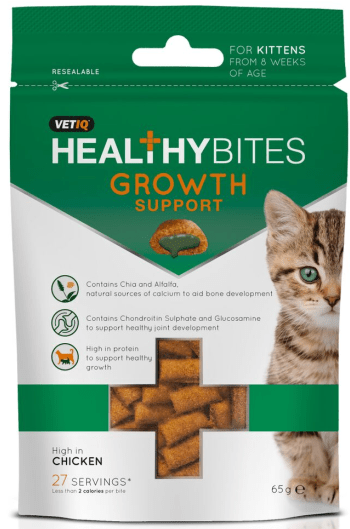 Healthy Bites Growth Support Kitten Treats is a complementary pet food for kittens. Recommended as a supplement during and after the weaning period. High in protein to support healthy growth.